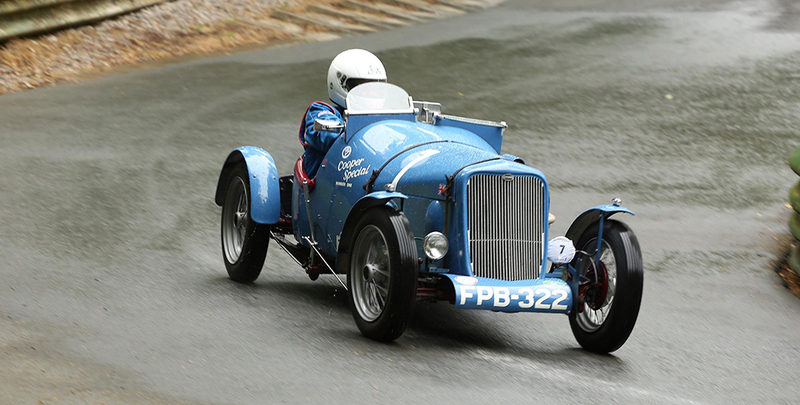 We are sorry to report the passing of long-serving 750 Motor Club member, Austin Seven enthusiast and former board member David Morgan, after a short battle with cancer. Known to many around 750MC and always present at Beaulieu, David was also the name behind the 2009 Haynes published book 'The Seven Fifty Motor Club', copies of which are still sold weekly via this website. A full obituary will appear in the next Bulletin newsletter, and the Club's thoughts are with his family at this time. David’s funeral will be on Tuesday 26th February, 12.30pm at Harwood Crematorian, Knebworth, Herts. There will be a wake afterwards on which we are just finalising arrangements and will be in touch with full details once all is confirmed. In the meantime, just to say that we would love any of Dad’s friends in the vintage / classic motor worlds to bring along their cars if practical for them, in order to wave goodbye to dad!! We are arranging suitable parking for such motors at both the Crematoria and the wake, and will be in touch about this. Depending on feasibility, a procession, or simply arriving individually may be best. I appreciate that weather conditions and the motors themselves will of course need to be considered – so it would very much be optional. We will be in touch very soon with further details – and thank you everyone for your kind words about dad – I know he really valued your friendship.